Of course the author of my favorite book series of all time is #1 on my list. My chances of meeting Queen Rowling are probably pretty slim and maybe that’s okay because I’d most likely burst into hysterical tears the moment I laid eyes on her. Question I’d Love to Ask Her: When you were at your lowest point, what inspired you to keep going? After the Queen herself, next on my list is the King of Horror. 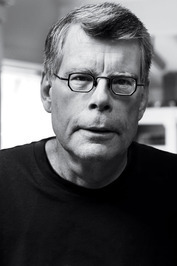 I’ve loved reading Stephen King’s books ever since I was a teenager and it would be incredible to meet him. I have only read the first two books in the Court of Thorns and Roses series but those two books were enough to make Sarah J. Maas one of my most beloved authors. 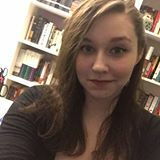 Question I’d Love to Ask Her: What advice would you give to an aspiring fantasy writer? 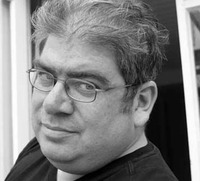 Ben Aaronovitch is the author of my favorite urban fantasy series, the Peter Grant series and I would love to meet him and hear him talk more about his books, his characters, and where he gets his ideas from. Question I’d Love to Ask Him: How many more books do you have planned for the Peter Grant series? I only recently discovered Foz Meadows (see my review for An Accident of Stars) but I was so impressed with her novel that I would love to meet her and pick her brilliant brain. 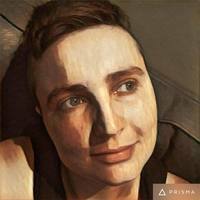 Question I’d Love to Ask Her: What steps do you take when you are in the process of building a fantasy world? 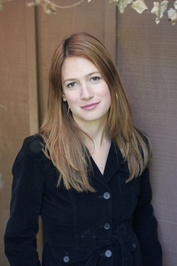 Gillian Flynn is a master when it comes to writing taught, psychological thrillers. I have all of her books, just waiting to be signed. A creator of dream-like novels, I think it would be so interesting to meet Murakami and see what he’s like in person. Question I’d Love to Ask Him: How do you take an idea that is so dreamlike and seemingly illogical and make it real? Marissa Meyer is the author of one of my favorite YA series, The Lunar Chronicles. Question I’d Love to Ask Her: Are you ever tempted to write more stories about any of the characters from the Lunar Chronicles? Marie Rutkoski is the author of one of my favorite series of all time, The Winners Trilogy. Top Ten Tuesday is a weekly bookish meme created by The Broke and the Bookish. 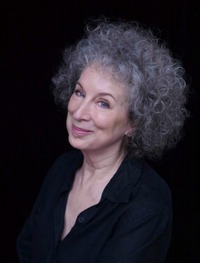 I would so love to meet Margaret Atwood!! I hope you meet all the authors on your TTT list this week. The cool thing is that I made a TTT post a couple of years ago of all the authors I wanted to meet in person some day and I ended up meeting three of them in person within a year!! I’m hoping to meet the rest of the authors on my TTT list some point in time!